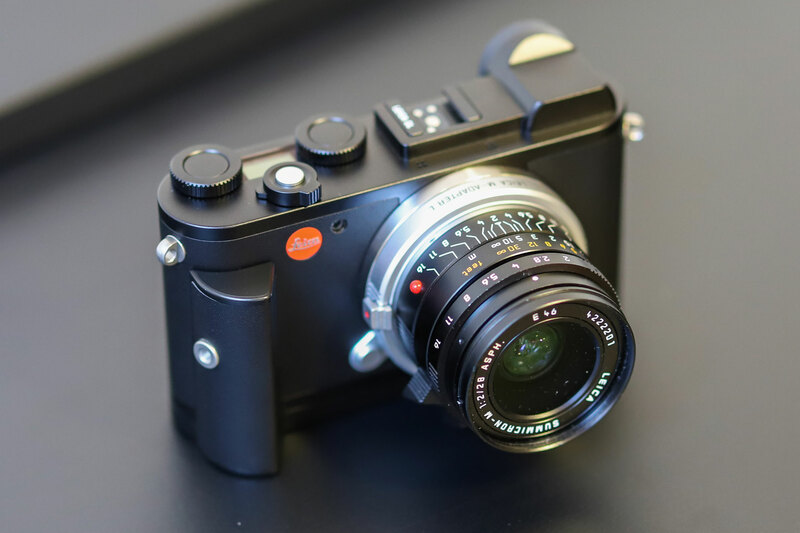 Leica has announced the Leica CL, a rangefinder-style mirrorless camera with a 24.2-million-pixel APS-C sensor and large 2.46-million-dot built-in electronic viewfinder. Based around the firm’s L mount, it’s due to go on sale on 28th November for £2250 body only, £3150 with the new Leica Elmarit-TL 18mm f/2.8 ASPH in the CL Prime kit, or £3275 with the Vario-Elmarit-TL18-56mm f/3.5-5.6 ASPH in the CL Vario Kit. While its body design is clearly inspired by the classic Leica III (as opposed to the 1970s rangefinder whose name it shares), the CL is a thoroughly modern camera with settings controlled by two top-plate electronic dials, each of which has a button embedded in its centre that temporarily changes its function. The camera’s back has a simple, stripped-back design with just a 4-way d-pad and a column of three buttons arranged either side of the 3in, 1.04-million-dot touchscreen. Despite this Leica has managed to place all the most important functions at your fingertips, making the CL a joy to use. Core specifications include a sensitivity range of ISO 100-50,000, 10 fps continuous shooting with a 33-frame buffer, 49-point contrast-detection autofocus covering the entire image area, and 4K video shooting. The camera’s high-quality construction uses anodized aluminium top and base plates, with a magnesium-alloy shell. 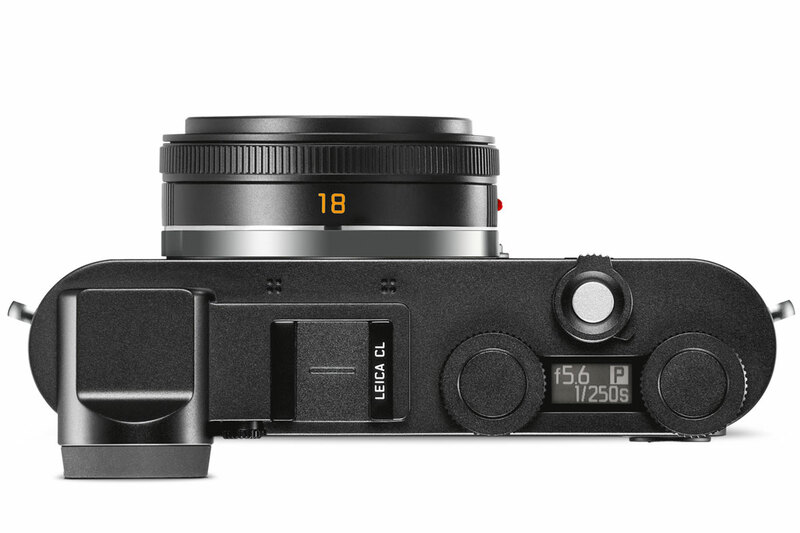 Power is provided by the same BP-DC12 battery as used by the Leica Q, promising 220 shots per charge. Other features of note include a small-top-plate OLED panel that displays the main exposure information, and a manually-selectable silent electronic shutter option. 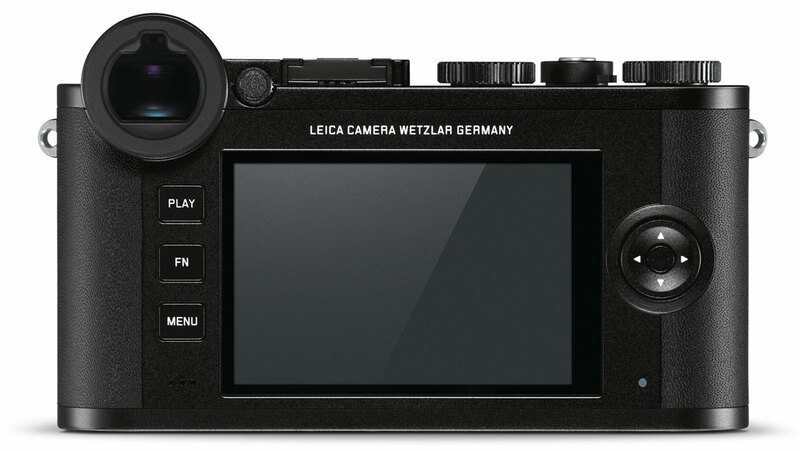 Built-in Wi-Fi allows connection to a smartphone or tablet using the free Leica CL app for Android and iOS, allowing image transfer for sharing on social media, and full remote control of the camera from the smart device. No Leica camera is complete without a full range of bespoke accessories, and a range of add-ons will be available to complement the CL’s classic looks. Leica showed us leather half-cases in black and brown, with a flap in the base giving access to the battery and SD card compartment. In addition four leather straps will be available, in a choice of plain back or brown leather, or patterned fabric with brown leather trim and neckpads. For those who prefer more practical accessories, Leica will be offering an accessory grip that screws into the tripod socket and gives your fingers just that bit extra to wrap around, along with a thumb grip that slots onto the hotshoe. Pricing of these accessories is still to be confirmed.